There are three primary actions a muscle can perform: concentric, eccentric and isometric. A concentric action means the muscle fibers are shortening, such as the “up” phase a biceps curl. An eccentric action means the fibers are lengthening, the “down” phase of a curl. An isometric action means the fibers are under tension at a constant length, such as holding the mid-point of a curl for 10 seconds. In strength and conditioning circles it’s common for coaches to emphasize either concentric or eccentric actions. For example, a sled push and medicine ball throw are two exercises that emphasize the concentric phase, which can be good for minimizing muscle damage and promoting recovery. 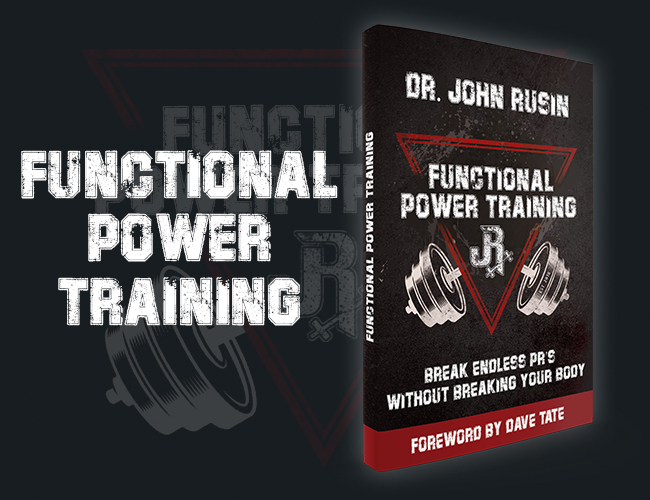 Eccentric actions are emphasized to increase muscle damage, triggering protein synthesis and muscle growth. 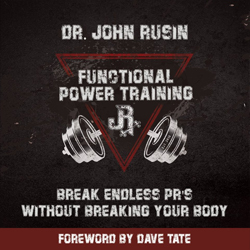 However, it’s much more rare to see programs that emphasize isometric actions and utilize them to build muscle, develop strength and bust through functional sticking points in a movement pattern. Lets put an end to neglecting the all important isometrics. Here are the three of the most powerful functional isometrics methods for improving muscle activation, maximal strength and muscular hypertrophy. Maximum muscle strength requires maximum muscle activation. Some muscle groups, such as the glutes, are difficult for people to activate, impairing strength and muscle gains. When I worked with Professor Chris Powers at his Movement Performance Institute, we would have athletes start the first few weeks of their rehabilitation process with isometric exercises. The purpose was to teach them how to reactivate their muscles after an injury or surgery. The goal is to promote cortico-motor excitability (a fancy way of describing the mind-muscle connection) in order to prepare their muscles and nervous system for the traditional strength training exercises that are incorporated a few weeks later. It is very difficult to build a muscle if your brain can’t fully activate it. One of my favorite activation exercises for the glutes is the standing fire hydrant. It is a unique exercise because it works your right and left glutes simultaneously, but in different ways. The stance leg is a closed-chain exercise that activates gluteal fibers that resist adduction and internal rotation. The elevated leg is an open-chain exercise that activates the hips’ abductors, external rotators and extensors. Perform 2 sets of a 45-60 second hold for each side. Maximal strength development requires athletes to recruit their high-threshold motor units. These motor units come into play only when muscles are under a lot of tension. One of the best ways to recruit high-threshold motor units is with isometric actions, especially when resisting a heavy load. Perform the sets at the beginning of your training session. Why? It is very difficult to recruit your high-threshold motor units when you’re fatigued. Why? High-threshold motor units usually drop out of the task after 10 seconds of maximal isometric activity due to their low endurance capabilities. Why? Five minutes is the minimum time necessary to restore creatine phosphate levels within the working muscles. Since these sets are intense they deplete the ATP-PC system. Work other muscle groups during that extended rest period to keep the training session efficient. Why? You’re only as strong as your weakest joint position. So if your sticking point for the bench press is halfway to lockout, perform your isometric work at that position. Plus, you’ll get about 10 degrees of carryover in each direction from that joint angle. Since you’ll be holding a heavy load, and fatigue will accumulate quickly, safety is of utmost importance. Set pins in a power rack just below your hold point. While this maximal strength isometric method can literally be used to improve weak links in any movement pattern or specific range, keeping it safe and effective is truly the key. Another key maximal strength isometrics drill that fits this criteria is the loaded push-up hold, which are great because it’s easy to place your knees on the ground if you fatigue too quickly. In a healthy muscle, motor unit recruitment is a fixed process. It is known as the size principle and was first proposed by the late Professor Elwood Henneman. The smallest motor units are recruited first, followed by larger and larger motor units as greater muscle force or tension is required. Motor units drop out of the task in the reverse order: the largest motor ones drop out first, followed by smaller and smaller motor units. This is one reason why your strength diminishes if you try to hold a maximal isometric contraction longer than 10 seconds. To stimulate hypertrophy, it’s necessary to create a manageable level of fatigue within your muscles. One of the best ways I’ve found to quickly fatigue a muscle while recruiting the largest motor units is with a combination of isometric and dynamic muscle actions. 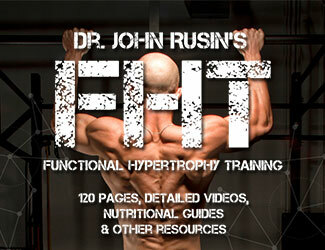 This is the basis of the muscle-building protocols for my successful High Frequency Training. Without rest, perform 3 full range of motion rows. *Perform 3 sets with 5 minutes rest between each (work other muscle groups during that time). If the load is dialed in correctly, those last three reps should be very difficult and you’ll finish the set with an intense pump. The isometric squeezes induce brief periods of ischemia (i.e., lack of oxygen) within the muscle. This causes an accumulation of protons, which leads to an intense pump – a key for triggering hypertrophy. Now that we’ve covered programming for activation, strength or hypertrophy, let’s cover a way to get a combination of benefits. One great example is the loaded push-up isometric hold with a Swiss ball. The instability of the ball activates additional stabilizer muscles, while the extra load is better for recruiting your high-threshold motor units. Hypertrophy is triggered by performing a greater volume of work. So you’ll increase the hold time up to 15 to 20 seconds for three sets, or perform five sets if you’re using a 10-second hold. Be sure to rest at least five minutes between sets, and work other muscle groups during that time. The loaded push-up with a Swiss ball is one of the best exercises I’ve found to increase your Functional Strength Standard for the horizontal push pattern. Now you have three more strategies to promote variability in your programs and stimulate new gains in strength and muscle. And when used wisely, combining these methods with already standard concentric, eccentric OR another isometrics specific training technique can help you reach your truest potential. And when in doubt, NEVER discount the importance nor the effectiveness of strategic isometric training. Dr. Chad Waterbury, PT, DPT, MS received his Doctor of Physical Therapy degree from the University of Southern California, the nation’s top-ranked program. He also has a master’s degree with an emphasis on neurophysiology. Follow him on Instagram and visit his website, ChadWaterbury.com. Awesome! Way to put an interesting twist on Isometric variations that can be a little bland at times. Can’t wait to try these out on myself and the clients I work with. Thank you! Any plans for an HFT 3 in the works? I’ve LOVED the first two versions and have run through each multiple times. 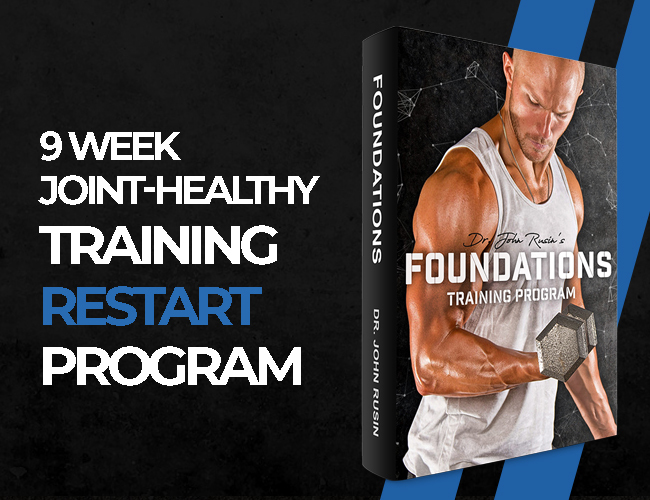 Even if it’s just a 12-16 week program with your updated methods, it’d be awesome!